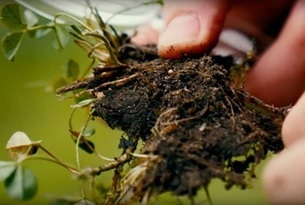 We know that belowground and aboveground interactions are coupled as plants respond to belowground processes and in plants turn affect soil processes through plant-soil feedback effects. To date it remains hard to predict the direction and size of these feedback effects especially in real field conditions. Most plant-soil feedback studies were conducted under highly controlled conditions in the greenhouse pot experiments using sterilised soil and being of short duration. As a result it has been hard to translate the findings to the field. I propose that new remote sensing technology is a powerful tool to study plant-soil feedbacks in the field at realistic scales in space and time. Such tool will greatly advance our understanding of soil multi-functionality, enabling customised advise on soil management to promote the optimisation of multiple functions on the short and longer term.